When corporations and nonprofits collide, the relationships are often short and opportunistic. However, one local partnership has been bucking the trend. The National Kidney Foundation and Elyria-based Bendix Commercial Vehicle Systems have been working together to promote kidney disease awareness for over five years.It’s a relationship that has made a life-saving difference for Bendix employees and local kidney patients. In fact, screenings and information provided by the National Kidney Foundation has led a number of Bendix employees to seek further treatment and medical advice due to having, or being at risk for, kidney disease. Once Bendix saw the impact of NKF screening programs, it was a natural step that the company also saw the overall benefit of supporting the NKF mission to bring kidney disease awareness, prevention and treatment strategies to patients, professionals and those at risk in the local community. The relationship that began in 2007 developed into a full-fledged corporate partnership that is now supported in large part by Bendix staff. 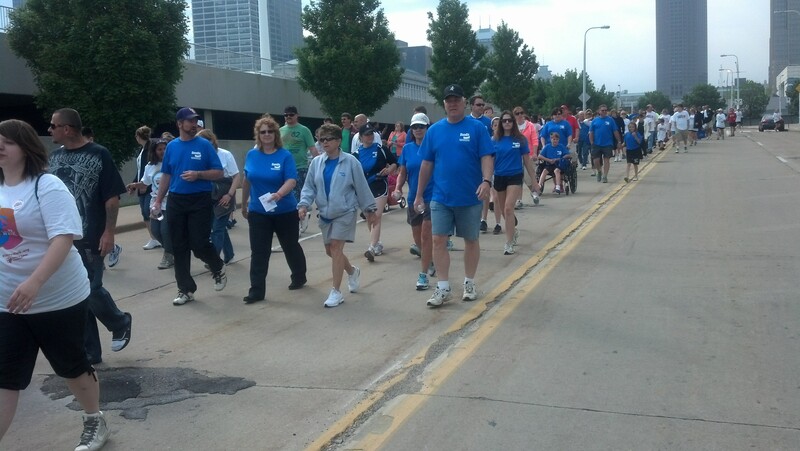 Bendix employees geared up again this year to support the NKF at the Northeast Ohio Kidney Walk in Cleveland. Bendix’s employee walk team, known as the “Brigade in Blue”, are looking to break last year’s Kidney Walk fundraising record. Sorry everyone junior year has been hectic! I said I would talk about the modifications that you have to make to live your life to the fullest with kidney disease… so here it goes! Being told “ YOU HAVE KIDNEY DISEASE” is the moment when your life changes forever. From there are on out you have to change your lease on life. I learned about all these big words like “glomerulsclerosis” and then came the medications. The most drastic change was having to take all of these drugs and not knowing what would happen or even why I had to take them. One thing that helped was knowing that I was in the hands of a very qualified nephrologist. A lot of people don’t even know where to start with how to modify their life so I suggest using kidney.org or anyone that you have connections to and of course, me! Another modification that you will need to make is diet, some more modifications than others. I had to change sodium, potassium and dairy. I saw a nutritionist within the first month and it helped me greatly. The nutritionist I used was through my team of doctors that my nephrologist set up. WE ARE NOT ALONE. Your doctors will always be there for you. Also, you should use sodium girls YouTube account or use kidney.org for weekly ideas on recipes to create that are kidney friendly. However, even with all these modifications there are side effects especially depression and that is why I am here and the whole kidney community to make your day a little bit brighter with some words of wisdom. There are 26 million of us and we all our family. If you would like to speak to me personally please leave your email or a way for me to contact you and I would love to talk. Enjoy May and hope all the mother’s out there had a Happy Mother’s Day!